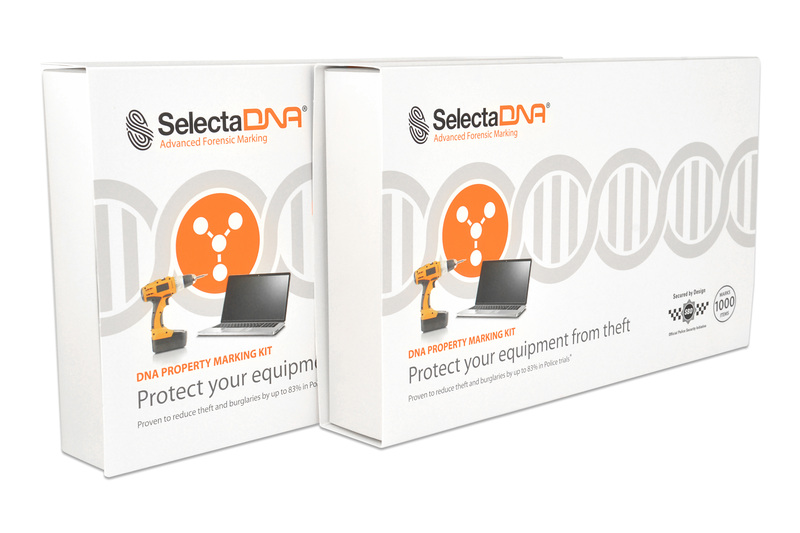 A DNA Forensic Property Marking kit designed for Medium sized Businesses, larger SMEs as well as medium sized Schools, University Departments and Local Councils. 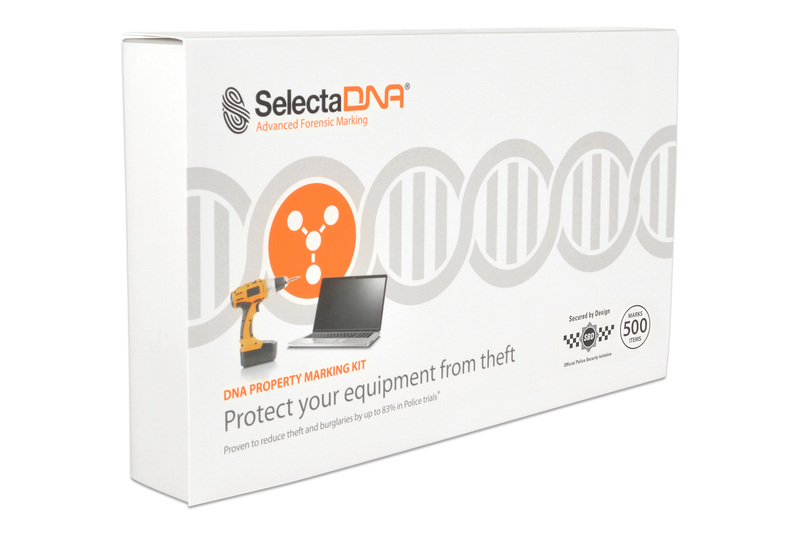 Marks and protects up to 500 items of property. 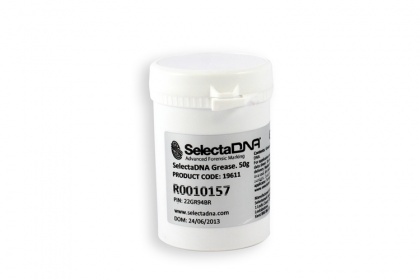 SelectaDNA Grease uniquely identifies and protects outdoor materials such as lead roofing and copper piping. 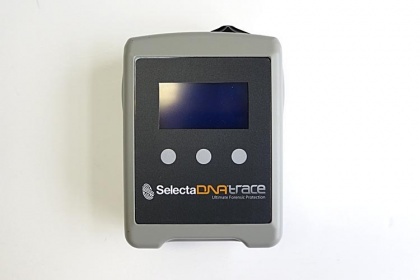 High-tech electronic scanner to read and identify property including metal and cable which has been marked with SelectaDNA Trace. 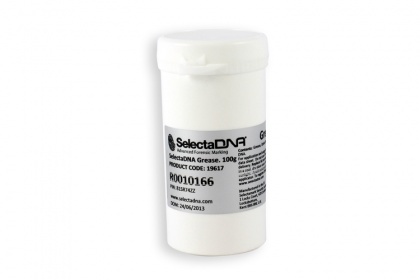 A 150ml aerosol of SelectaDNA Trace to mark and protect cable and other precious metals out in the field. A 250ml aerosol of SelectaDNA Trace to mark and protect cable and other precious metals out in the field. 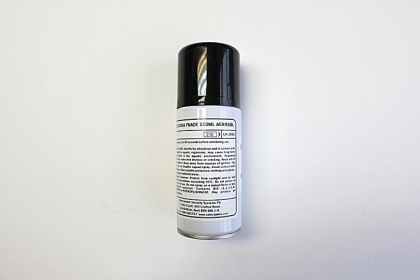 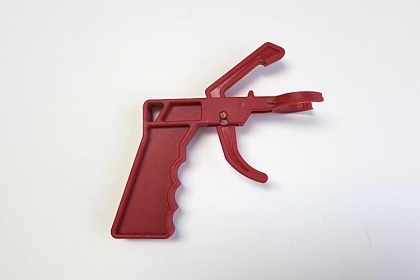 Pistol grip to hold SelectaDNA Trace aerosol (both 150ml and 250ml) and make spraying more comfortable.